The internet of things (IoT) can be seen in all corners of corporate and consumer life today. Wherever there are connected devices sending and receiving data, the IoT is making its presence felt. One of the most discussed applications of the technology exists within heavy industry, where machines are becoming more effective at reporting data on their own operations and condition. When companies put in the effort to make their factory floors more connected and intelligent, they gain new operational options. 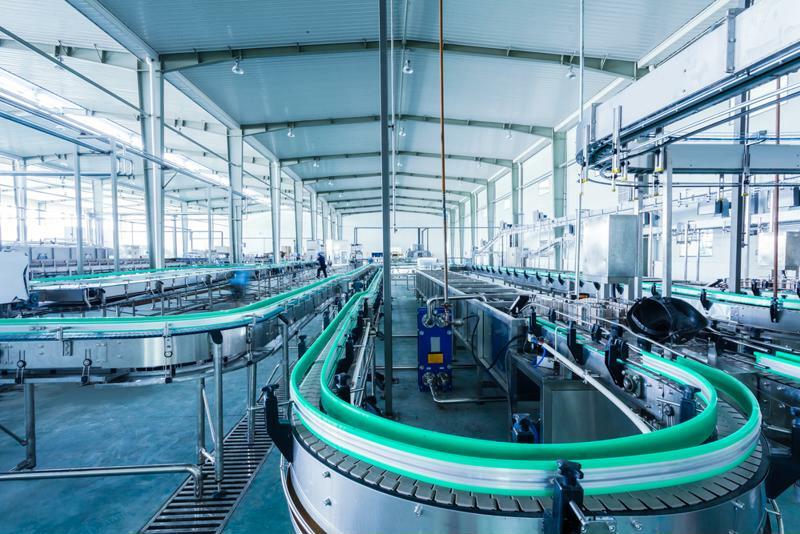 While the use of IoT in manufacturing has been going on for years now, the process is still evolving as companies experiment with new and more advanced sensors. Whether they're intentionally purchasing assembly line machinery with onboard sensors or attaching devices to existing equipment, these organizations are tapping into new sources of data. Working with this new information will doubtless prove challenging, but the intended end result - radically streamlined operations - will prove worth it. A recent McKinsey & Company report used examples of IoT deployments to show the right way to navigate the challenges and complexities of using these new systems. These highlighted cases included a manufacturing plant that produces metal goods. The organization discovered that sometimes, the main issue involving IoT adoption doesn't concern actually deploying the necessary sensors. In addition to having the right tech tools, companies must get their workforces up to speed with the new capabilities. Drawing previously untapped data from machines is the first step in transforming a shop floor with the IoT. Actually getting people to use the new information is the second step, and no less essential than the first. One of the keys may involve simplifying data output, opting for clarity instead of simply quantity. The plant cited in McKinsey's example created new processes that incorporated the rapid data from the IoT sensors, including a new inspection style that favored machines found to be slowing down. While getting staff buy-in and modifying processes to accommodate IoT input are essential parts of transforming a manufacturing operation, they aren't alone. These issues exist alongside important responsibilities to deal with within the actual creation and deployment of IoT projects. Another of McKinsey's examples focused on an organization manufacturing transportation equipment which launched a new IoT strategy but didn't see dramatic improvements to its operations. The problem soon became clear: The company hadn't gone far enough in designing its new processes. Once the manufacturer abandoned its cautious approach to the IoT, assembling 30 development teams. The new, revised focus delivered the hoped-for value, allowing the organization to reap new revenue. Engineers discovered that their projects complemented one another and the new IoT deployments developed synergy with one another, upping performance across the board. Manufacturing is an industry in a period of change. There is more than one way to improve manufacturing through increasing IoT adoption, and Engineering.com recently complied several of the major changes that could be coming to the manufacturing sector in the years ahead. For instance, companies will be able to use their IoT deployments to improve teamwork. One of the main impediments to getting departments on the same page is the disparity of data available to each team. When information is constantly flowing in from machinery, rather than being collected by employees in various departments, the numbers employed by every worker are consistent and centralized. When silos are the issue - and in companies of all kinds, they often are - making data consistent is the first step in breaking out of those restrictive old patterns. Maintenance is another area where the path to IoT value is particularly clear, according to Engineering.com. Sensors installed on machinery allow organizations to switch from preventive maintenance based on spans of time to true predictive maintenance. Under the former system, workers checked in on equipment on a schedule. While better than not monitoring machinery at all, the method didn't reflect real-time activity. Predictive maintenance based on data is more precise, with data accumulated over time building a complete picture of each machine's condition, and predicting when action is needed. Companies that perform this kind of maintenance can deploy personnel when they are most needed, getting ahead of potential problems while not wasting too much time on unnecessary checks. Getting involved in IoT deployments means going beyond simply buying sensors for equipment. The server room also needs to receive upgrades. When the equipment routing data through an organization isn't up to modern standards, even the most advanced IoT deployment can fall short of its potential. For this reason, IT departments must be thorough in their upgrades. This is where Perle enters the picture. Our offerings such as Ethernet switches and media converters are essential parts of today's digital infrastructure, built to get data where it needs to be quickly and securely. 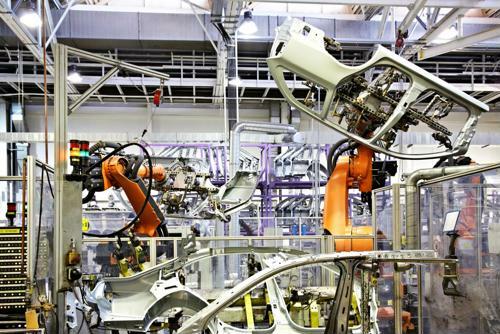 Find out more about our manufacturing and industrial offerings, with connectivity tools enabling modern priorities such as efficiency-building automation and robotics deployments.